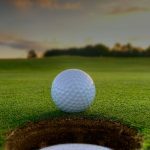 Presidents Day – Sponsored Maryborough Golf Club. 22 Players, AWCR = 75, AMCR = 72. Competition Winners… Lyn Leddin (32) & Dan Leddin (17) – 41 pts. Competition Runners Up… Christine Hooper (34) & Tony Hooper (15) – 40 pts c/b. 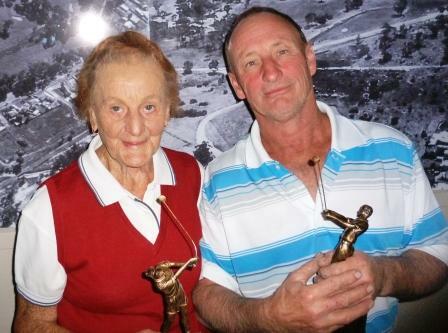 Mixed Championship Winners… Dulcie Perry & Grant Sluce with 85 pts. 2nd – Sharon Treble, 6th – Christine Hooper, 18th – Coralie Rich (Oakford Farms Ball). Ball Winners… 40 pts – Stacey Smithwick & Anthony Passalick and Kaye Mullane & Atrel Turner, 39 pts – Stuart Argall & Jan Berry. Lucky Draw… Sharon &Peter Treble. 33 Players, AMCR = 72, DSR = 72 . A Grade Winner… Dean Nalder (3) – 35 pts. A Grade Runner Up… Gary Reed (8) – 34 pts c/b. B Grade Winner… Doug Rowe (21) – 39 pts. B Grade Runner Up… Dennis Hamilton (15) – 36 pts. 2nd… Bill Fowler, 6th… Brett Chaplin, 16th … Tony Hooper, 18th … Stuart Argall. 34 pts… Matt Andrews & Bill Patten. 33 pts… Greg Sheridan, Brian Hart, Sean Harkin & Dave Kerry. 9 Players, AWCR = 75, DSR = 75 . Competition Winner… Linda Olsen (37) – 35 pts C/b. Ball Winner… 35 pts… Millie Cassidy.